Feeding a dog should not be a worry but scare tactics create income... 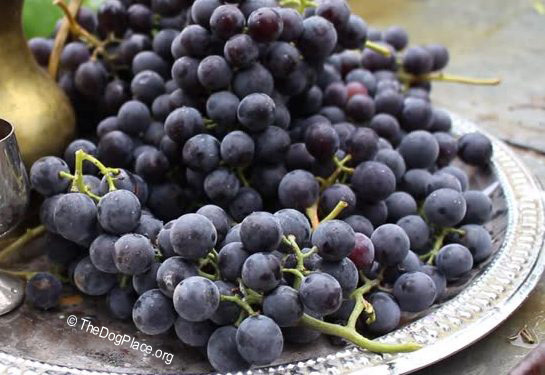 This in-depth study on ASPCA, Poison Control, Snopes, and internet grapes reports raises ethics questions and debunks a myth. 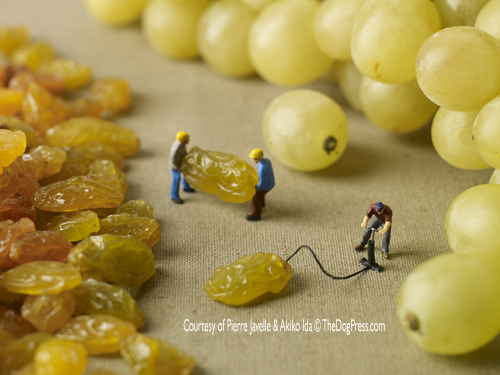 I read your article with great interest after my Dalmatian ate grapes yesterday when I dropped a bunch while collecting them off a grape vine in my garden which has never had any form of chemicals. An American citizen doing his good deed informed me my dog has been poisoned much to my shock and distress. I rang up the vet last night (UK as I'm UK based) who had herself never heard of grape poisoning so she went online and took for granted what was on there. My Dalmatian was then subjected to Mustard at the back of the throat which didn't make my dog wretch, then salt, salt water and then soda crystals none of which made her bring up the ingested grapes. I have stayed up all night and watched her literally every minute all day and she is distressed at the crap I was advised by the vet to give her to make her sick of which none worked. I can't believe those who started the rumor of Grapes killing dogs hasn't been sued because of the distress and very costly vet bills when the dog isn't even sick. Of course vets will happily put an owner through the motions of trips and tests because they make a lot of money from the worried animal lover. The emergency vet wanted me to take my dog in at £160 before even treating her for something she didn't even know existed until she went on the net. She rang me today to tell me in short, what a bad pet owner I am for not taking her to the vet for tests and trip and that my dog will now probably die from acute renal failure. Over 24 hrs later my beloved Dalmatian is fine other than her tummy is gurgling from the crap the vet advised me to give her to make her sick which didn't work. I can't say how much this has seriously distressed me and my daughter and the vet would charge in excess of £250 including tests and treatment which probably isn't needed. 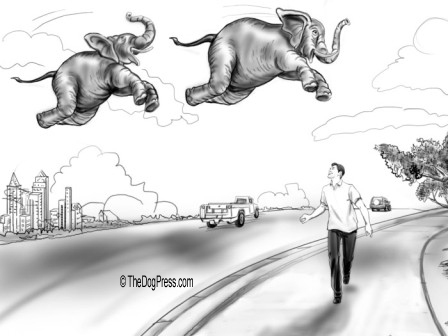 Those who started the rumor without proper evidence and trials should be sued by every owner who has paid out vet bills or been so distressed on the basis that the killer grape which appears on most pet websites now and caused serious distress to thousands of worried owners when it maybe not even be accurate or true. 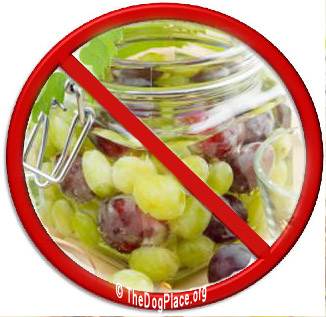 I've spoken to 5 dog owners who's dogs have eaten grapes (1 is a breeder) and not one of those dogs has gotten ill. I shall keep an eye on my Dalmatian naturally but in the UK its unheard of to my knowledge and the vet said "it is not included in any training here in the UK so it must be a relatively new finding". Thank you for your article and I will email you in a few days to let you know how my dog is. I'm sorry she ate the grapes but I dropped them and had my hands full and went straight back out to collect them but my dog ate them and seemed very happy she had discovered yet another fruit she likes, she nicks apples off my tree and has never been ill. I appreciate your article which has put my mind at ease and over 24 hrs later, Cassie is eating and drinking fine, going to the toilet fine and is as active as she has ever been although she is gurgling in her tummy which only started after the vet advised all that crap which wasn't very nice for Cassie. The company/charity/drug organization should be heavily challenged publicly to provide facts.